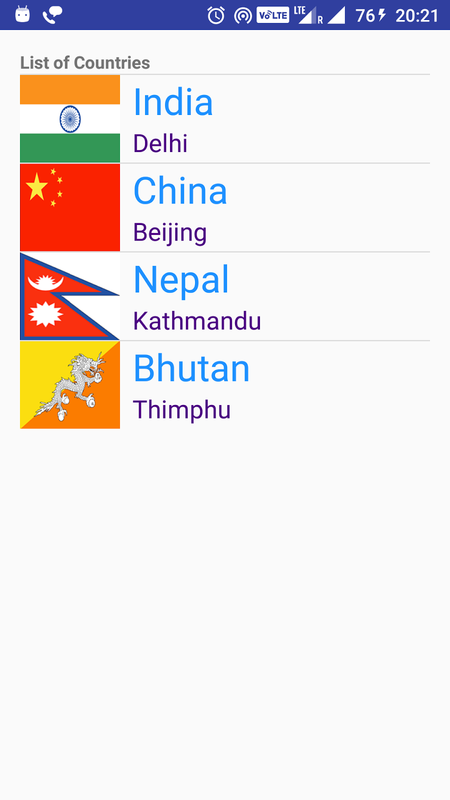 In previous post, we have seen simple android ListView example. 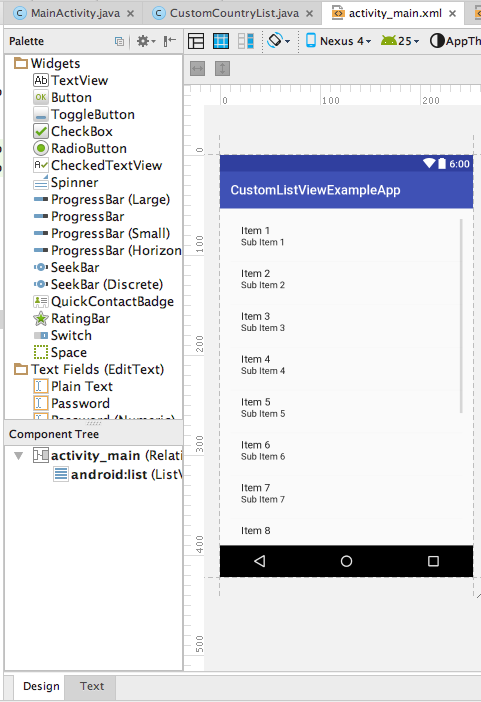 In this post, we are going to see Android Custom ListView example. 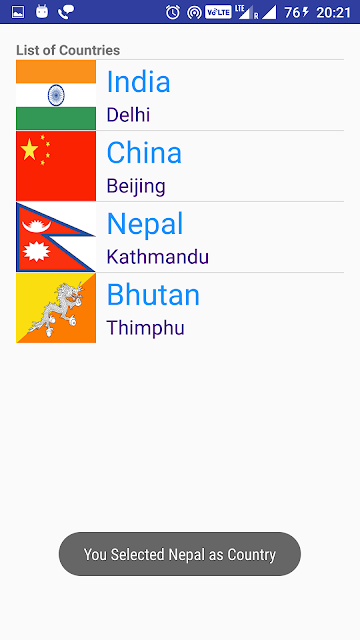 So we will create custom ListView in which each list item will have Country flag, Country name and its capital in different font size as below. It is widely used in android apps to list number of items and select one or more items from the list. Create an android application project named “CustomListViewExampleApp”. You will see below screen in design view. If you notice, we have extended to ListActivity for this class. ListActivity class provides some methods specific to ListView. We have declared three arrays to take care of Country textView, Capital textView and flag ImageView and customCountryList is being used to populate data in ListView. As we have added textView to ListView as header in above code thats why we have used countryNames[position-1] while setting toast text, if you don’t use header then it should be countryNames[position]. Download source code, locate res -> drawable and put images in your application ‘s res -> drawable folder.